HP has launched a sleek and stylish all-in-one PC for business called the EliteOne 800 G3. The AIO features a strong design with tiny bezels, a pop-out Windows Hello camera, and a Bang & Olufsen-tuned speaker bar that matches the modern design language of their other products. HP's design team has really come into their own over the past year with the Spectre 13, Spectre x360, and Envy series redesigns. HP's new EliteOne 800 G3 also shows that not only can they design some nice notebooks, but they've got the chops to make a beautiful all-in-one (AIO) desktop, as well. 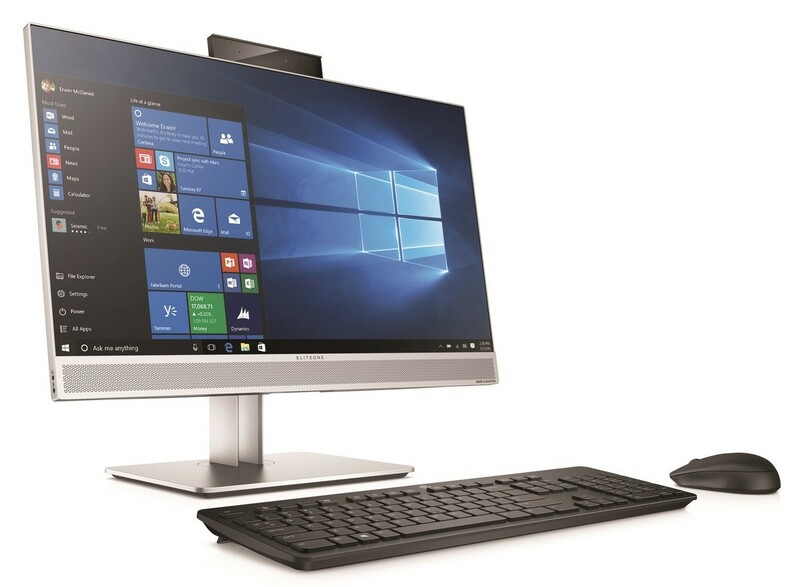 The EliteOne is a 23.8-inch AIO PC with an absolutely tiny bezel, pop-up Windows Hello camera, Bang and Olufsen-tuned (note: that's tuned, not made by) speakers with touch functionality. Even better, it is available with both matte and glossy touch options, which is still a rarity in a sea of glossy-touch displays. Other business-focused features of the G3 include Sure Start Gen3, HP Manageability Integration Kit, HP Client Security, and an intrusion sensor that lets you know if someone tried to open the unit. Given the sleek design of the device, it's thermally limited to the mobile quad-core Intel CPUs, which is common for AIOs. The EliteOne is available with up to a core i7-7700HQ, but can also scale down to a Pentium G4600 or Celeron G390 for budget purposes. There is also an optional AMD Radeon RX460GFX with 2GB of VRAM for a little extra graphics power. The HP Elite One 800 G3 is already available from HP.com and starts at US$1049.